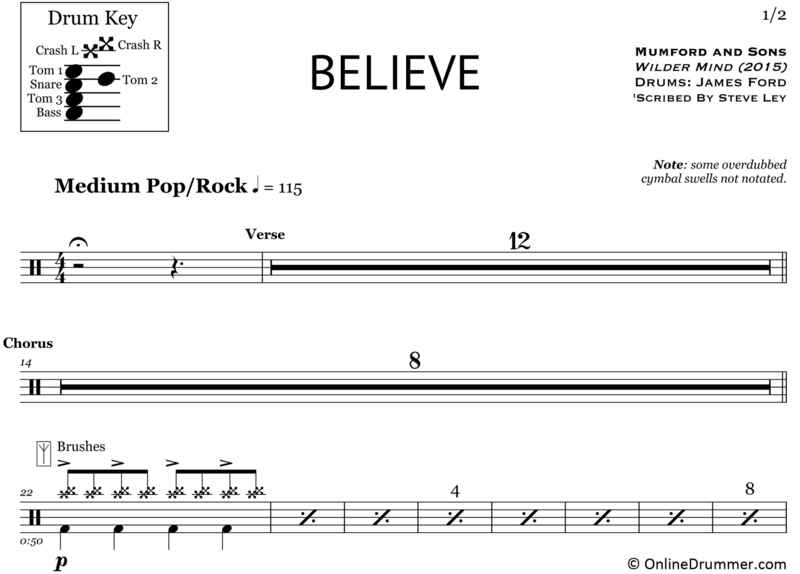 The full drum sheet music for “Believe” by Mumford & Sons from the album Wilder Mind (2015). James Ford plays a powerful tom groove throughout the second half of this song, with some variations/fills exploding into the choruses. The groove has an alluring tribal feel that’s perfect for this song’s build.